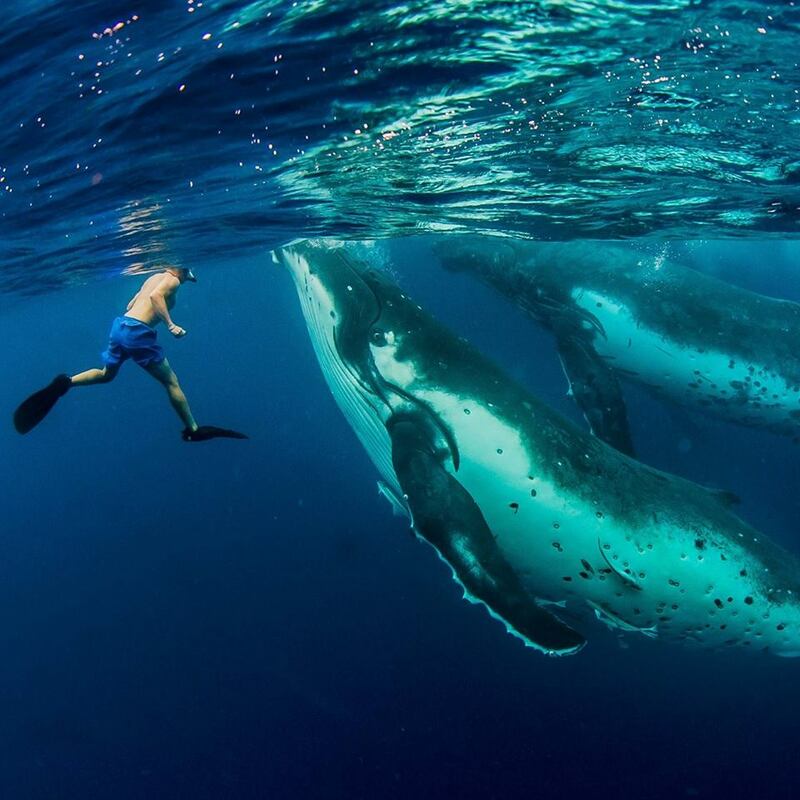 Whale Discoveries offer liveaboard charters on a beautiful yacht in Tonga. Swim with humpback whales or endless water sports through the islands of Ha’apai. Wildlife is our very own Tongan registered fast sailing catamaran. She is incredibly stable and exploring the myriad of reefs and uninhabited islands of Tonga is a very special activity indeed. Wildlife is 16.2 meters long, built of state of the art materials, has 3 very comfortable double cabins and a large saloon, cockpit and deck area to ensure plenty of space for the exclusive 4 (min) or 6 (max) guests. Operating mainly from our base in Ha’apai Tonga during the whale watch season. We also offer expeditions in the Vava’u and Tongatapu island groups and a voyage trip from one island group to the next is possible out of season. Please note whale watching is available only in Ha’apai. We are able to customize your expedition to suit your bucket list of activities and time frame. We have a series of projects going and on the drawing board to bring awareness and assist the local community to live sustainably for the future. These programs are based on leading by example plus hands-on working with the locals on projects like rubbish disposal, marine education, marine rehabilitation, turtle awareness and general maintenance of our eco station. If you have appropriate skills, are interested in staying for an extended period (minimum of one month) and are willing to put your time and effort into assisting these programs whilst saving your travel money at the same time- then this may well be for you. Please contact us via skype or in person interview to confirm suitability. These expeditions include 3 professional crew, all meals, and accommodation onboard. We are able to customize your expedition to suit your bucket list of activities and time frame!